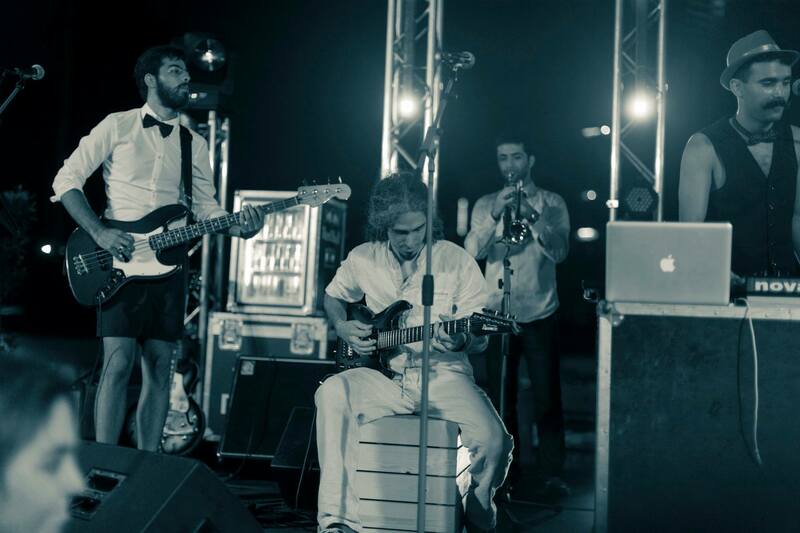 Loopstache is the brainchild of Carl Ferneiné and Salim Naffah based in Beirut. Singing in English they mix different electronic beats with Indie music together. In 2014 they released their first self-titled Album. Currently they are working on their new Album and the first single should be released in about a month. Musiqa Mustaqilla sat down with Salim Naffah talking about music, influences and mustaches. Musiqa Mustaqilla: How did you start making music? Salim Naffah: We both started music at a very young age by playing classical music. Carl on the piano and me on the guitar. After a while we dropped our musical studies and started to learn on our own. MM: When did the idea of Loopstache first emerged? SN: Loopstache started when I visited Carl at his home studio to record my own demos at the time. We started jamming randomly on Moby’s Natural Blues, so we decided that we should do a video cover and post it online. Once the song was recorded, we had to come up with a name. At that time we both had mustaches and after a small brain storming the name Loopstache came up. After releasing a few covers on Youtube, we decided that we should write our own Album. MM: What is the story behind your Album? SN: The Album Loopstache came up after a long phase of Carl and I working together in the studio and understanding how we both function in terms of writing, composing and producing. This Album was really a DIY kind of Album in which we had very minimal equipments but we put all our hearts and souls in it. It was endless days and nights at the studio. We wrote, recorded, arranged, rearranged and focused on every little detail. But most importantly, we had fun doing it. MM: What are your influences? SN: We’re both really influenced by Jazz, Blues, Rock and Roll and Electronic music for example like Amy Winehouse, The Beatles, The Rolling Stones, Ray Charles, Charlie Parker, Louis Armstrong, Jerry Lee Lewis, Chuck Berry, Elvis Presley etc. MM: Is there are reason to sing in English and not in Arabic? SN: If I can speak for myself, the main reason why we sing in English is honestly because I am closer to the US/European musical culture than I am to the Arab musical culture. Most of my influences are coming from English bands and artists, but I would not mind to sing one day in Arabic. SN: We’re giving a workshop/performance in Abu Dhabi and in September we are playing at Wickerpark Festival in Lebanon. Actually, we are recording our second Album and the first single should be out in a month. Their Album „Loopstache“ is available on Itunes and Spotify. The Wickerpark Music Festival is in Beirut, Sept 10, 2016.